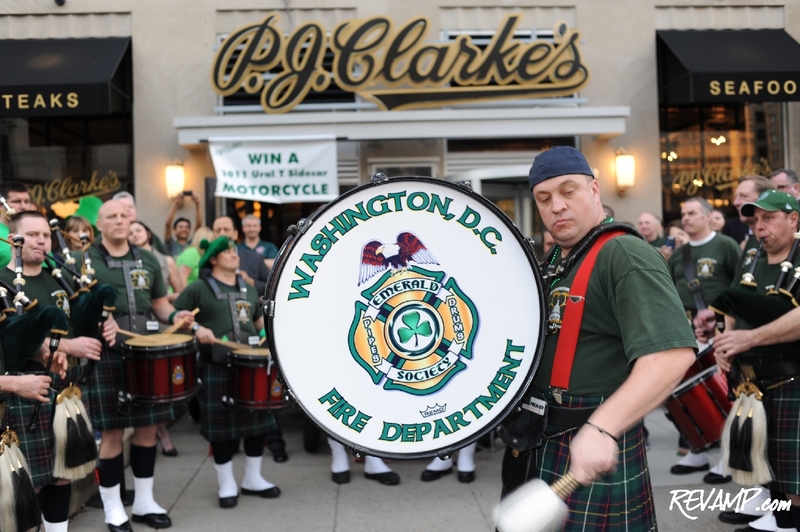 A live 'Pipes and Drums' band circulated amidst P.J. 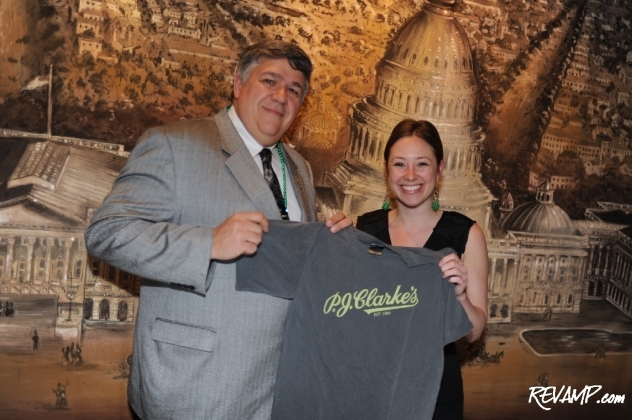 Clarke's public upper and private lower levels to get revelers in the proper "green" mood. Be sure to check out all 48 of our photographs from this event HERE! NORTHWEST -- Not content with simply being a quiet place for a power lunch or a relaxing place to recover from a long day at work, the D.C. outpost of P.J. Clarke�s took it upon itself Thursday night to throw the city�s most memorable Saint Patrick�s Day celebration as well. While regulars were free to mingle inside the popular bar/saloon/restaurant, enjoy the day�s $4 pint of Guinness and $6 shot of Jameson drink specials, and have their pictures taken with members of the Redskins Cheerleaders, the real fun was nevertheless to be had inside the K Street location�s private downstairs dining room known as Sidecar. There, an exclusive celebration of its own was held last night featuring dueling open Guinness and Bushmills bars, as well as plenty of hearty traditional Irish fare, such as bowls of piping hot stew. 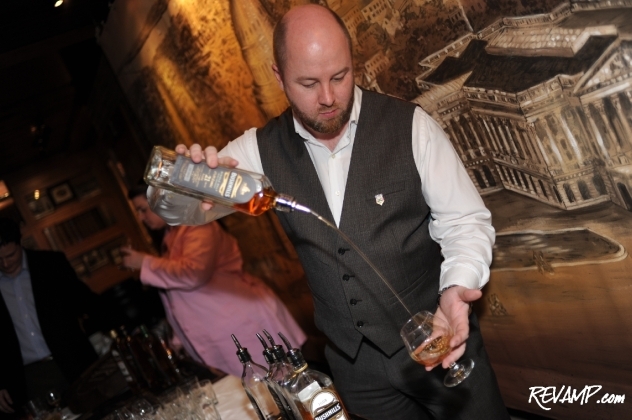 A bottomless Bushmills tasting table offered guests a welcome alternative to pints of cold Guinness. Co-hosted by Sean Cahill, Peter Cherukuri, Mary Kathryn Covert, Raghu Devaguptapu, Mark Drapeau, Matt Erskine, Erick Mullen, Amanda Polk, Blain Rethmeier, John Shaw, and Mark Wooters, the evening served a dual purpose in helping raise $10,000 in support of the National Law Enforcement Officers Memorial Fund through the sale of raffle tickets ($25.00/ticket) for a 2011 Ural T Sidecar motorcycle. (L-R) Evening co-hosts John Shaw, Peter Cherukuri, Mary Kathryn Covert, and Mark Drapeau. We were positively green with envy over the winner�s good fortune! The night�s real winner was the National Law Enforcement Officers Memorial Fund which took home a hefty $10,000 donation courtesy of P.J. Clarke�s.